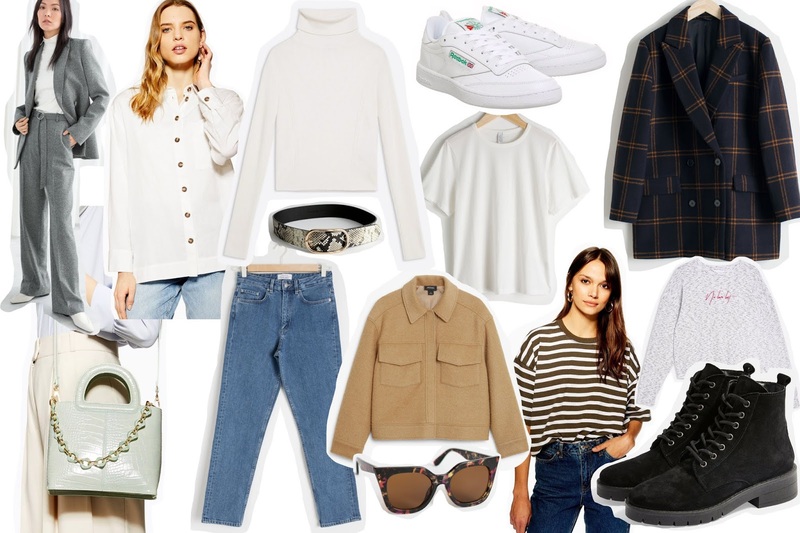 The time has come, and we have now officially entered the hazy transitional period into our spring wardrobes, and thus, a wish list for spring staple wardrobe. As usual, I feel a bit very lost in my wardrobe. I’m at a bit of a weird crossroads at the moment where I think I know my personal style really well, but just don’t quite have the clothes that I want in my wardrobe to reflect it daily. So it feels like I’m either out here wearing the same pieces over and over, or I’m wearing things in my wardrobe that aren’t quite me anymore. Alas, I spent this weekend scouring the internet, and Manchester city centre, for key pieces that I could potentially add to my wardrobe. I want items that are versatile and really decent quality to last me wash after wash without looking meh. We all know by now that super-fast fashion, and disposable trends are not the way forward if we want to be smart shoppers. So with that in mind, longevity is really key for me when shopping around for new bits, and impulse buys are pretty much a thing of the past. Fail to prepare and you are prepared to fail (or something like that?). I find planning out in a visual mood board form like this really helps me figure out what I really do and don’t need to be buying. Another act that helps decipher what to purchase is physically sorting through my existing wardrobe and giving things the cull where needed. As well as re-jigging things around so you don’t just gravitate to the same old thing. Tidy wardrobe, tidy mind and all that. Plus, my memory is often jogged and pleasantly surprised by items I had forgotten about in the dark depths of my chest of drawers- does anyone ever delve below the top 2 layers? And yes, I may well have ordered a couple of bits off this wish list already. Keep your eyes peeled.